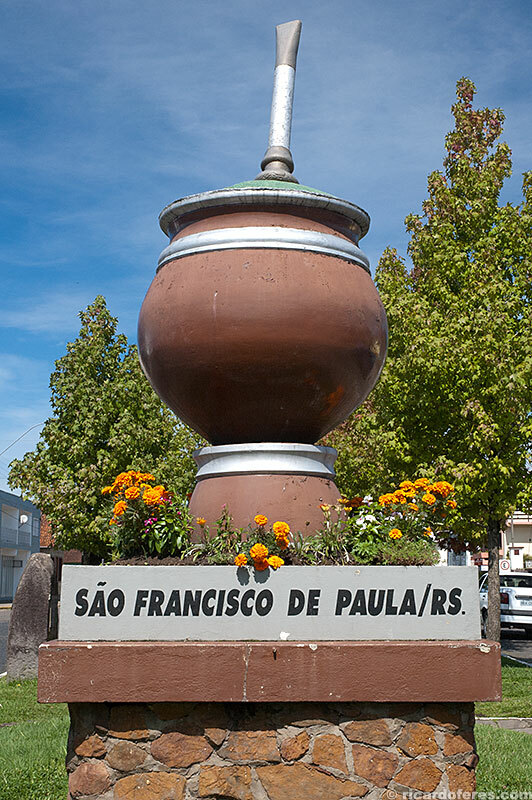 It is easy to understand what led this area of Rio Grande do Sul, the southernmost Brazilian state, to be called as Hydrangeas Region. 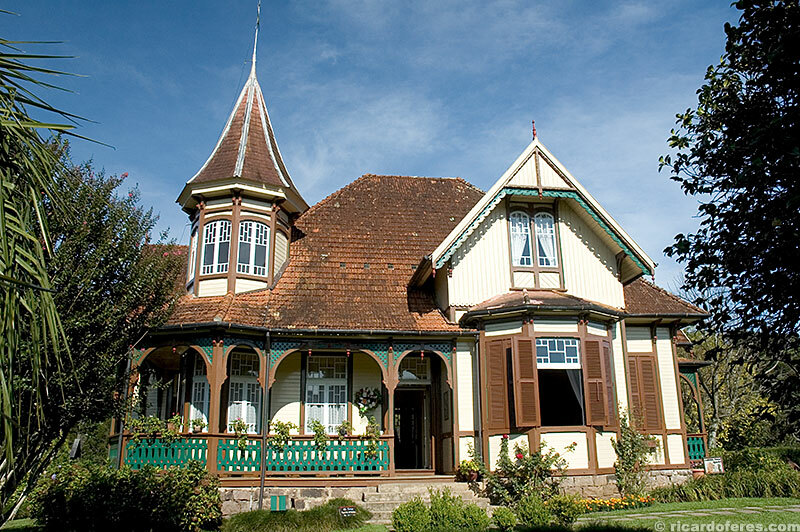 Everywhere you go in Nova Petrópolis, Gramado, Canela and São Francisco de Paula, the four cities of this region, you’ll see beautiful hydrangeas, as in the gardens of beautiful houses, squares, parks and even bordering the roads. As the distances between the cities are small, I decided to travel by bicycle, not only for allowing to have a greater integration with the nature but also with the inhabitants, since a bicycle loaded with luggage always attracts the most curious, who come to know where comes that “crazy” who prefers to ride pedaling instead of having the comfort of a car. For those arriving in the Hydrangea Region by the BR-116, this is the gateway. 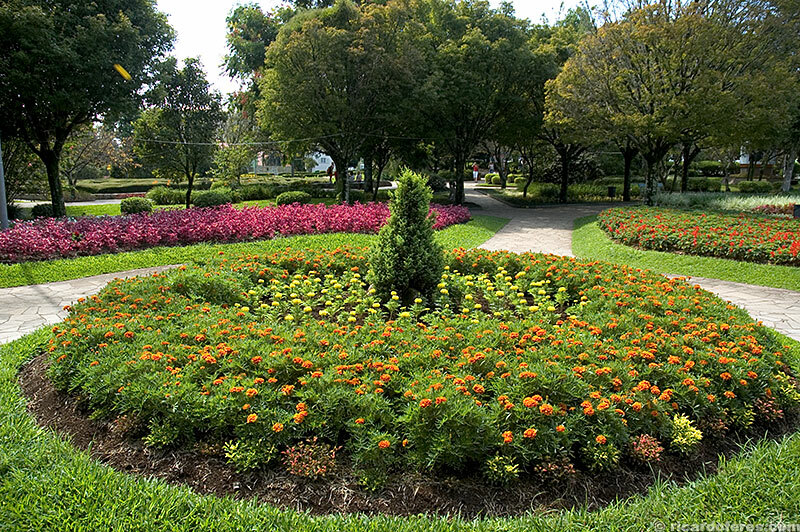 Well-kept city, with squares and parks that invite the tourist to see them in a low pace, waiting for the moment of tasting an excellent colonial coffee, touted as the best in the country. 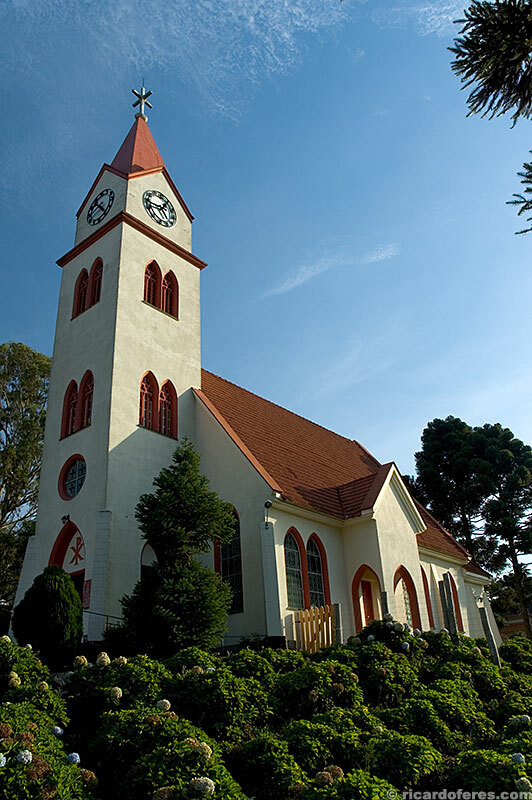 When I was wandering in Nova Petrópolis, sometimes I didn’t feel like being in Brazil, such is the amount of people speaking German. In the restaurant, German speaking customers. At the inn, same thing. The owner of the bike shop? Yes, only with me he spoke in Portuguese. 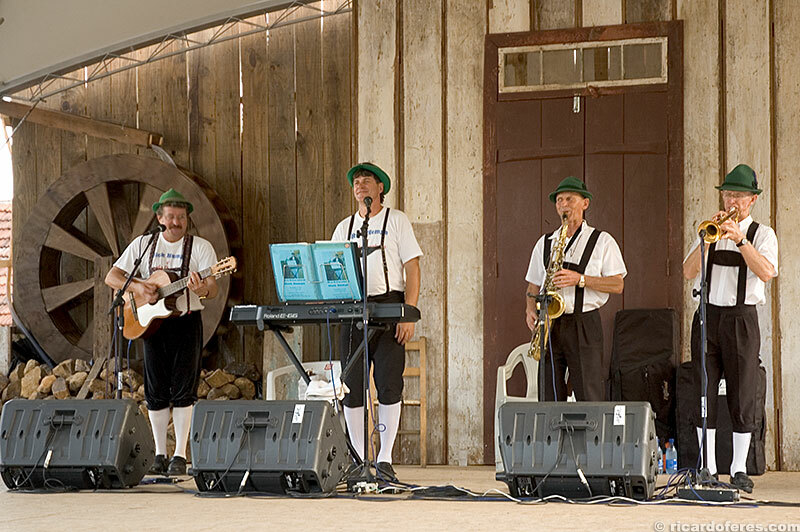 Even in the tire repair shop, which I needed after two flats, everybody speaking… German, of course! 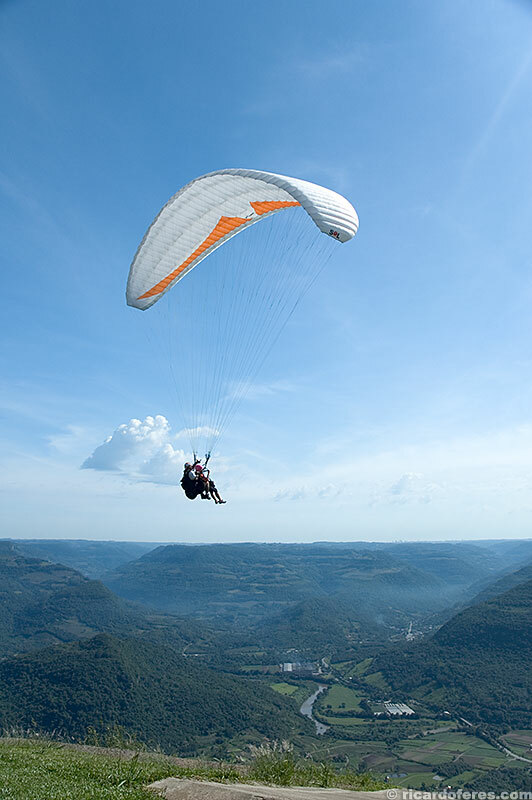 Distant 6 km (3.7 mi) from the city, towards Caxias do Sul, is Ninho da águia (Eagle’s Nest), a free flight point that is worth a visit even for those who don’t want to take their feet off the ground, since the view of the mountains is beautiful, being possible to see Caxias do Sul if the sky is clear. For mountain bikers, there is a track used for downhill championships, but if your bike and technique are not up-to-date, you’d better going back down the dirt road. 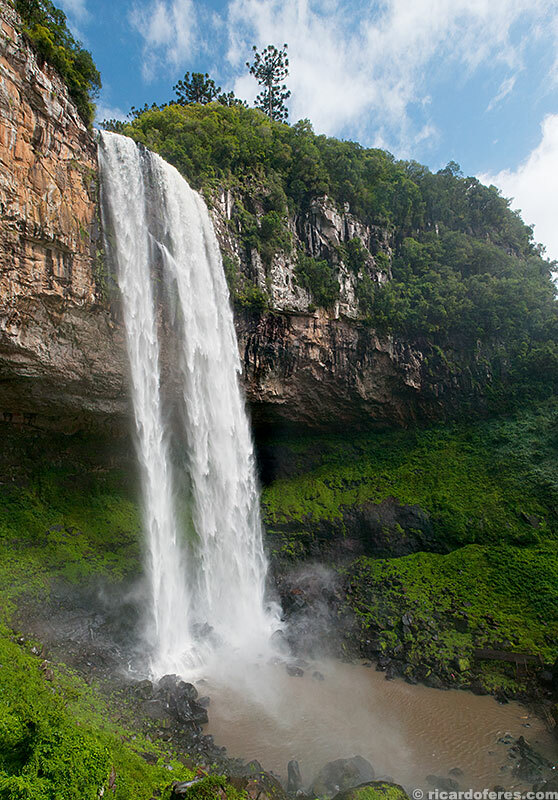 Another beautiful natural attraction is Panelão, a rock formation with a waterfall 5 meters (16 feet) high. 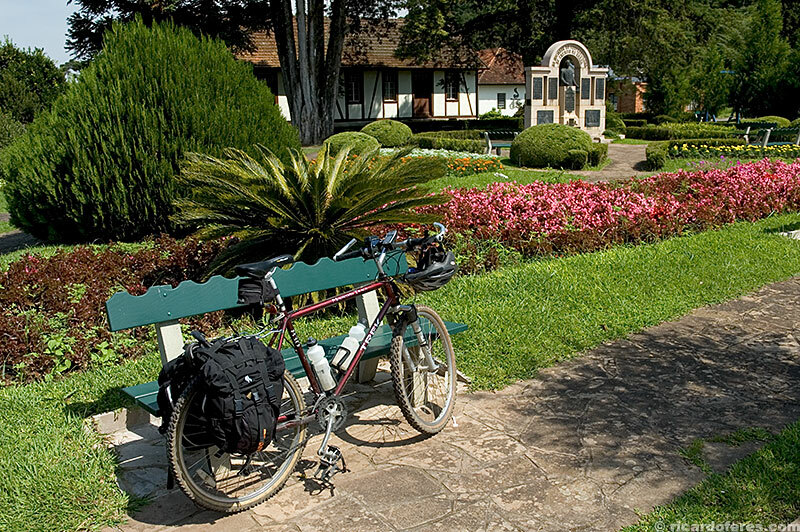 As Panelão is 22 km toward Gramado, it’s wise to go there when leaving the city, but for those who have a bicycle loaded with luggage, it’s good to say that there is an elevation of 260 meters in just 1.8 km. On the way it is a delight, with a lot of speed and adrenaline, but the return makes the cyclist be dreaming of finding another waterfall, this time at the top of the hill. 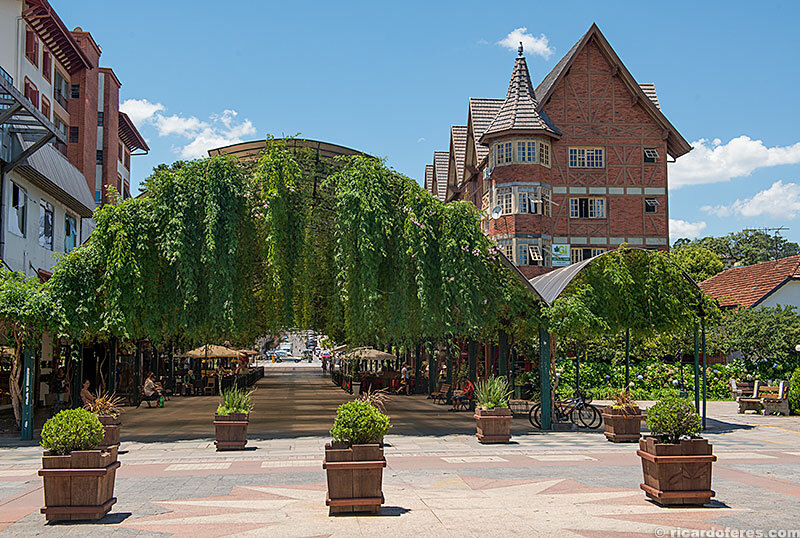 It’s no coincidence that Gramado receives more than 6 million visitors per year, being one of the Brazilian municipalities with the largest number of tourists and possessing the best infrastructure in Rio Grande do Sul. 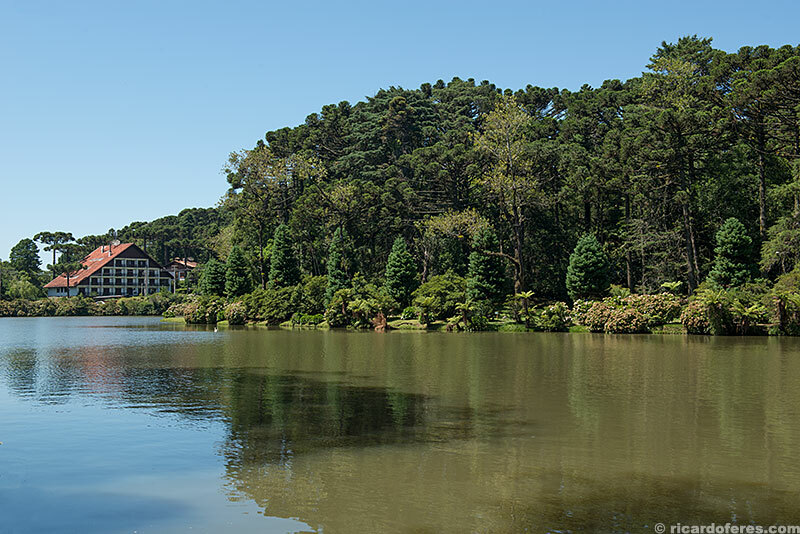 Internationally known for its Film Festival, Gramado has many reasons to be visited, such as the harmonious architecture of its houses and buildings, various and beautiful squares, lakes and parks, great restaurants and its traditional and delicious chocolate. 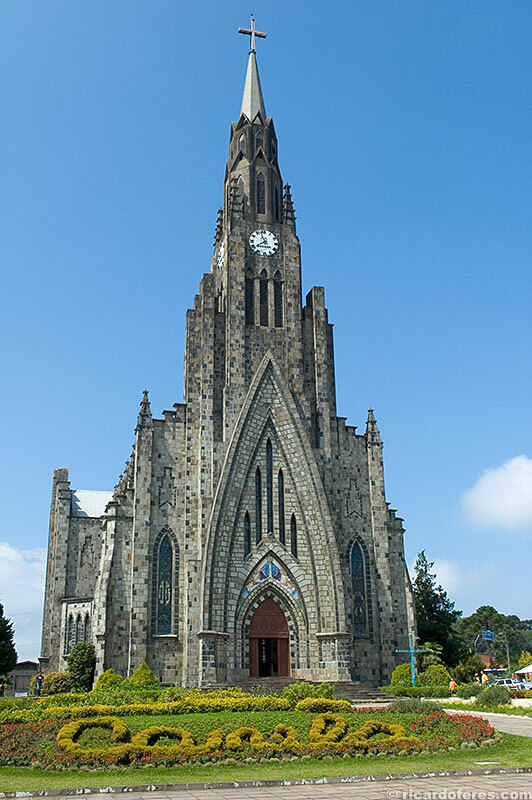 In Gramado, everything is so clean and tidy that it looks more like a scenic city, and as it is in the center of the Hydrangea Region, can be used as a base for tours throughout the region, especially for those who are driving, since the longest distance traveled is to São Francisco de Paula, just 43 km away. 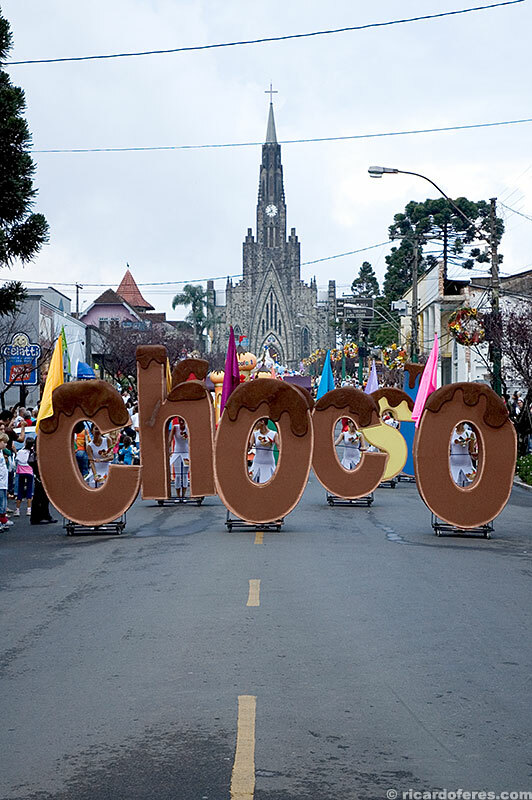 As if that’s not enough, Gramado still has a calendar of events made to attract and delight tourists all year-round, such as the Winter Carnival, Colony Feast and festivals of music, dance, gastronomy, etc. 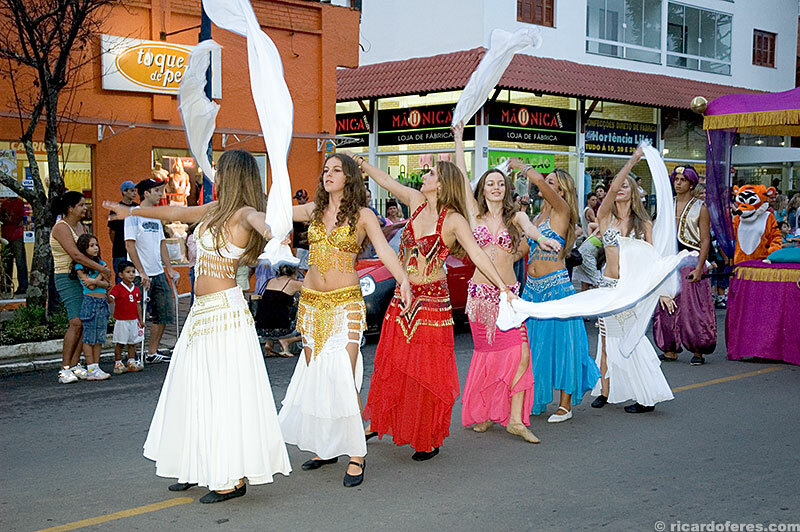 In addition to the Film Festival, one of the best known is Natal-Luz (Christmas-Light), when the city sits in celebration for almost 2 months, with concerts, fireworks and, as the name suggests, lots of lights decorating houses and squares. 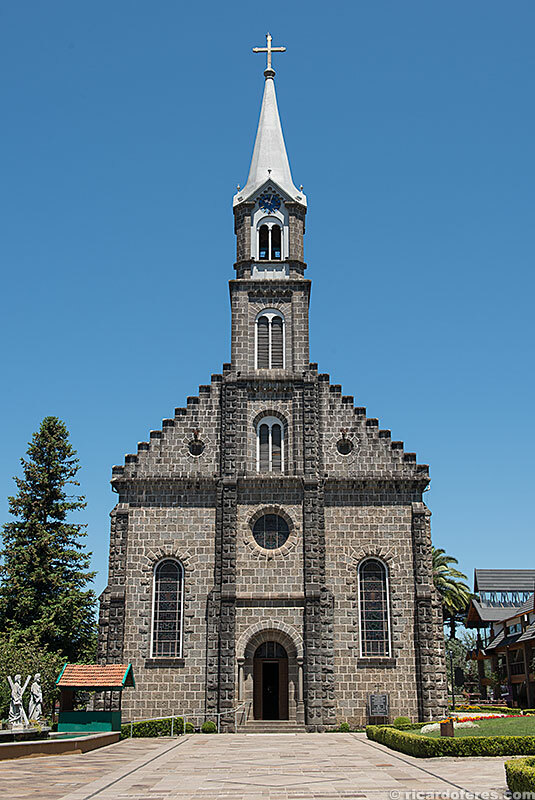 Just 7km from Gramado, Canela is a beautiful town, a little quieter than Gramado but with a little less charm than its neighbor, although its center is also beautiful and well kept. 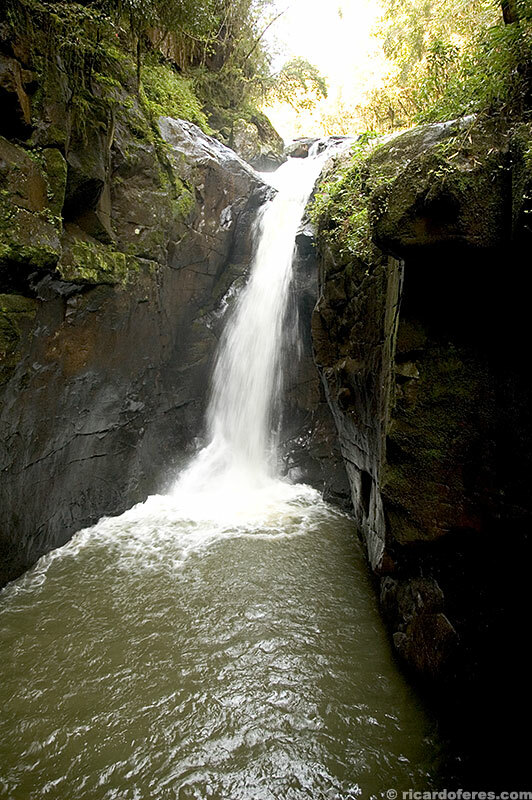 Canela has several natural attractions, such as waterfalls, belvederes, rivers and great places for outdoor sports, such as mountain-biking, rafting and climbing. 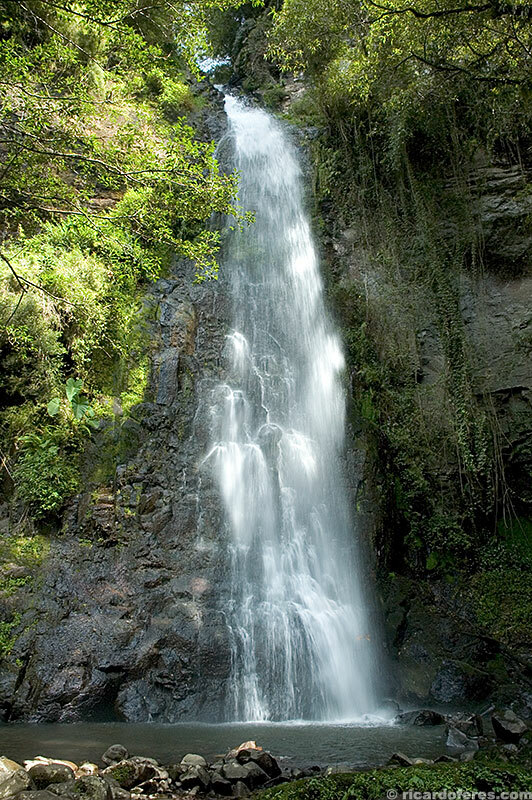 Caracol Waterfall, with its 131 meters (429 feet), is the postcard of the city. 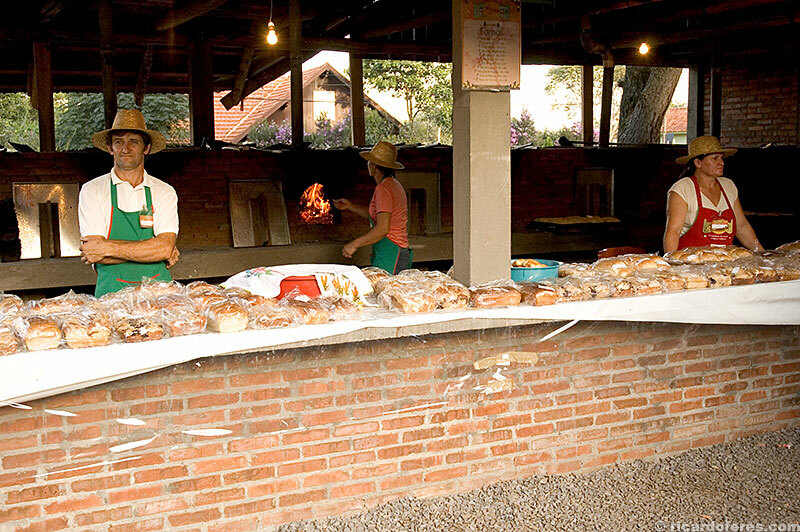 It is 7 km from the center, within the Parque do Caracol, which has a good structure to receive visitors, with restaurant, lookouts, trails and, for those with strong legs, a staircase of 927 steps (equivalent to a building of 49 floors) leading to the base of the waterfall. 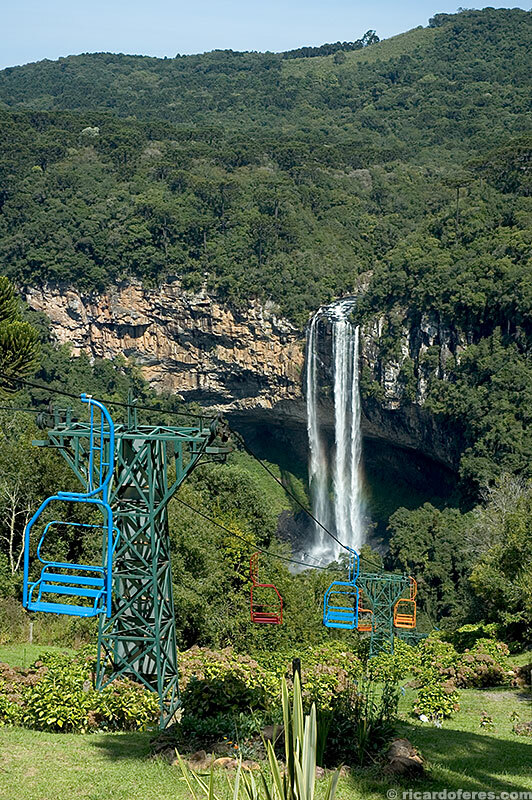 Next to Parque do Caracol there is also Parque da Floresta Encantada do Caracol, with its own places for extreme sports and a cable car that leads to a belvedere overlooking the waterfall. 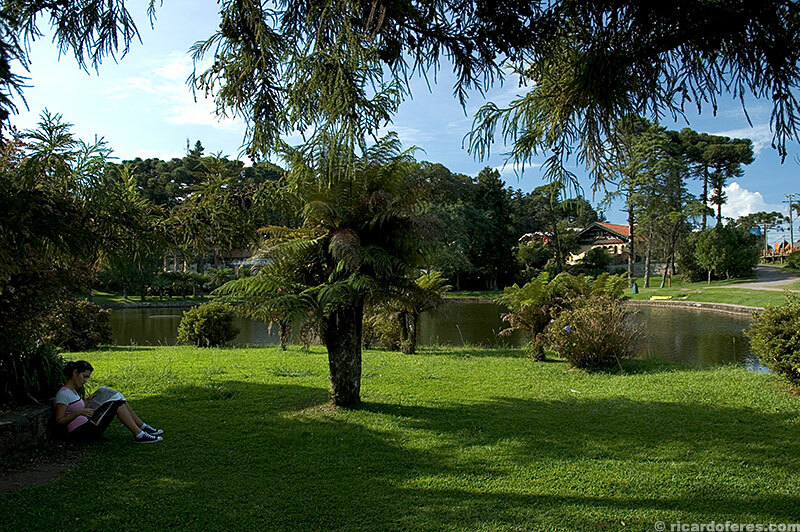 Following the same road, after 6 km is Parque da Ferradura, a destination for those who want to climb or just walk on trails that can last from 10 minutes to 5 hours. Just at the beginning of the dirt road that leads to the viewpoints of Morro Pelado, Morro Queimado and Dedão, stands Parque das Sequóias, which houses one of the largest concentrations of conifers in the world, including the oldest living species, ginkgo biloba. Also worth a visit to Alpen Park, which in addition to ziplining and ‘arborismo’, has a sledding track with 630 meters (2,066 feet) of descent, being fun guaranteed for adults and children. 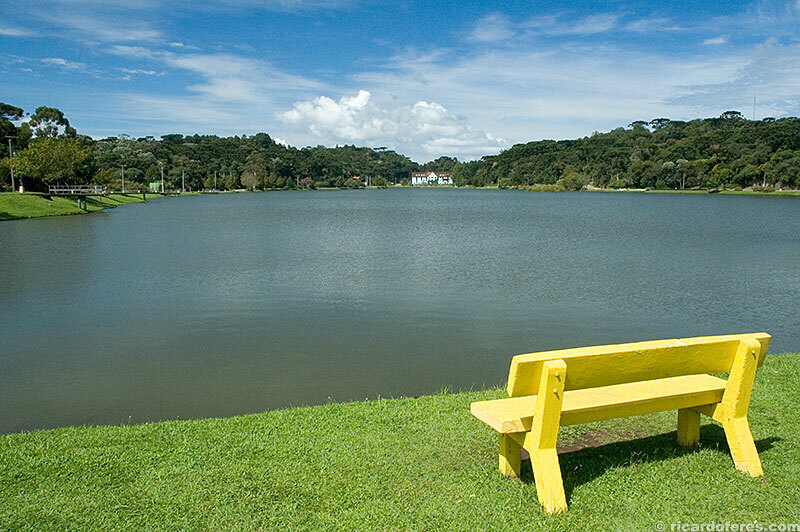 The most distant city from BR-116 is also the quietest, ideal for those who want to relax away from the great tourists movement that Gramado and Canela have in high season and holidays. 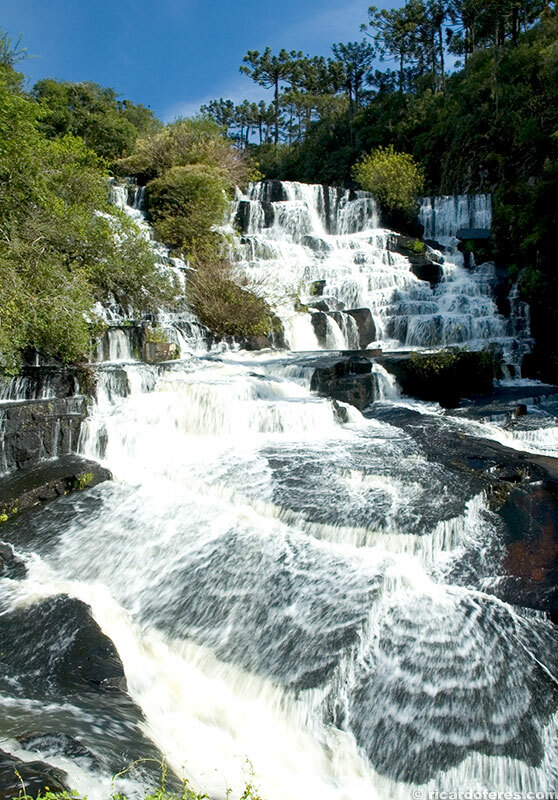 São Chico, as it’s known by the gaúchos, attracts those who like waterfalls, most of them in parks such as Parque da Cachoeira, Parque das 8 Cachoeiras, Parque das Cascatas and some in places of public visitation, such as Cascata da Ronda and Passo da Ilha, a place surrounded byTainhas river with structure for camping. 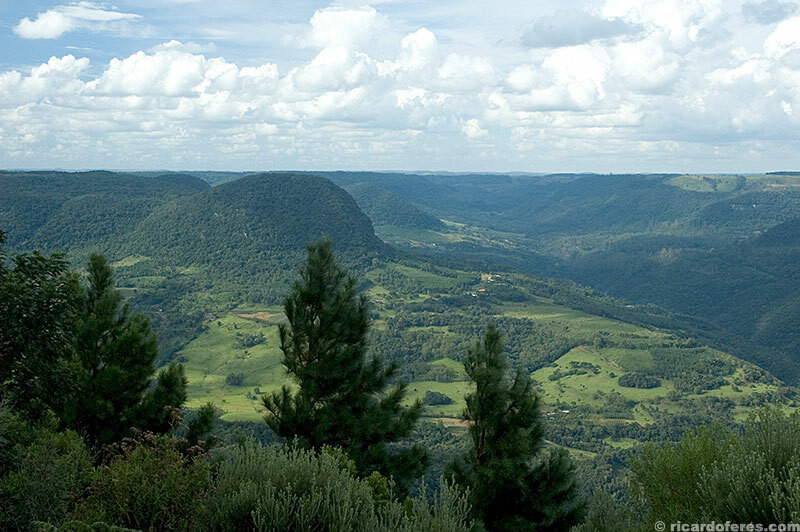 Unfortunately, in the last days of my trip the weather was horrible and I couldn’t make pictures of the waterfalls of São Chico, but at least I can use it as an excuse to go back soon, although a place with so many attractions makes anyone want to return.